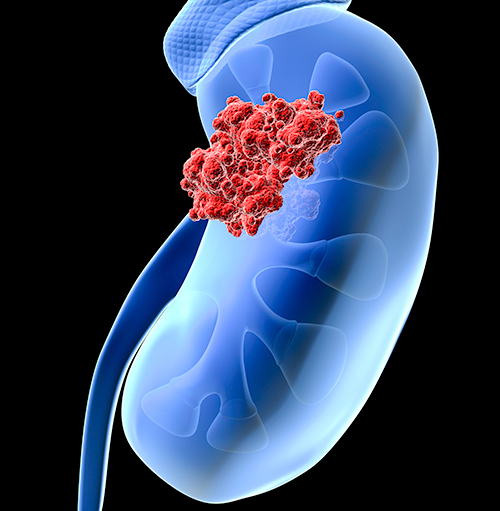 Researchers from the Johns Hopkins University School of Medicine have identified that gene expression profiling may assist in determining renal cell carcinoma patients who are unlikely to benefit from the anti-PD-L1 checkpoint inhibitor immunotherapy drug nivolumab (Opdivo). The recent study—“The Intratumoral Balance between Metabolic and Immunologic Gene Expression Is Associated with Anti–PD-1 Response in Patients with Renal Cell Carcinoma”—was published today in Cancer Immunology Research and found that patients who did not respond to treatment with the anti-PD-1 therapeutic nivolumab had significantly higher expression of genes associated with metabolism, compared with PD-L1-positive tumors from patients who did respond to nivolumab. Only between 15 to 30 percent of patients with renal cell carcinoma, the most common type of kidney cancer, have substantial and durable responses to immunotherapeutics that target the PD-1/PD-L1 pathway, such as nivolumab. In light of that, researchers have begun to identify markers that can predict whether or not a patient is likely to respond to these treatments so that those who are unlikely to respond can avoid the potential adverse effects of a treatment unlikely to benefit them. The Johns Hopkins team began their study by analyzing archived pretreatment tumor samples from 13 patients with metastatic renal cell carcinoma positive for PD-L1 who had gone on to receive nivolumab through clinical trials. Four of these patients were classified as having responded to nivolumab treatment and nine were classified as having not responded. Whole-genome expression profiling, covering 29,377 genes, identified significantly elevated levels of 110 genes in tumors from nonresponding patients. Extended analysis showed that genes expressed at elevated levels in tumors from nonresponding patients were predominantly associated with metabolism, the chemical processes that generate energy and eliminate waste products in cells. These genes were also found to be expressed in cultured kidney cancer cells. “Given that nivolumab works by releasing the brakes on the immune system, most studies of treatment resistance so far have focused on looking for immune system-related mechanisms,” noted Dr. Topalian. “Our data suggest that resistance can also be caused by tumor-specific mechanisms. While the results from the current analysis are promising, the authors noted that the study was a retrospective analysis of samples from a small number of patients. However, the investigators are hopeful that these preliminary, but statistically significant, results will provide a starting point for further exploration in larger cohorts of patients at Johns Hopkins and other institutions.